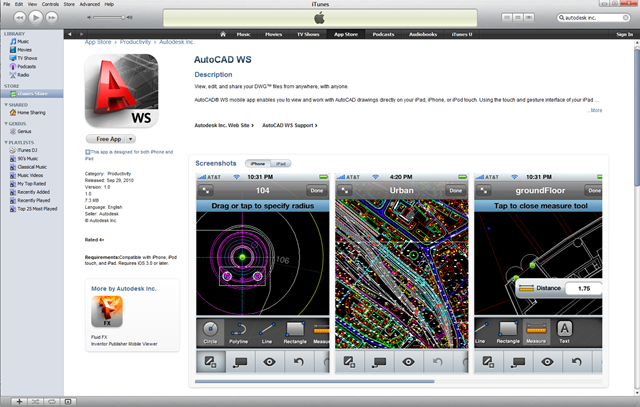 Check out the new free iphone/ipad app from Autodesk on iTunes. Below is the Autodesk link where you can create an account and find more information to get started. 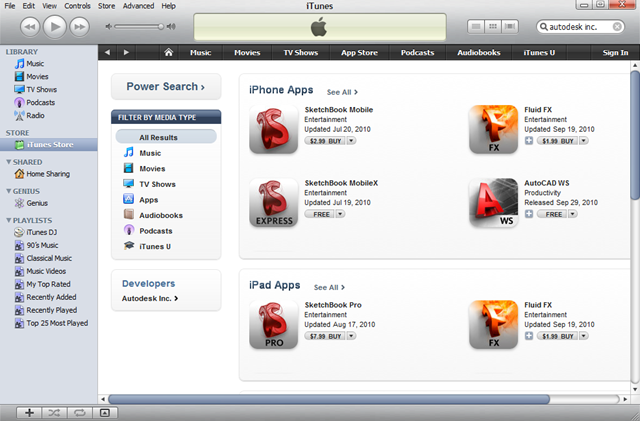 Be sure to take a look at some of the other apps available from Autodesk. The terminology has been changed from Service Packs to Updates. Be aware that there are two updates available for download, a 32-bit and a 64-bit. It is important to download the correct update based on the workstation operating system. You can check this by going into Window Explorer, right clicking on My Computer and select Properties. From the System tab, if it doesn’t indicate the system type as 64-bit then it can be assumed the operating system is a 32-bit. From the thread below, you can open the Readme file that list the issues that have been fixed in this update. Last Note: After installing Update 1, users have noticed the background area of the ViewCube has turned white. This can be corrected by simply turning the video hardware acceleration on/off or vise versa (3DCONFIG). What Service Pack Do I Have Installed? Most of you know that Service Packs have been reclassified as Updates. So, now when you call in for support and we ask you, the customer, which service pack you have installed, you have no idea. Mainly because it doesn’t show up in the About dialog box like it used to. There is, however, a way of viewing this. BUT, it isn’t as clear as it used to be either. Jason Hickey from Autodesk has posted a blog on how to read the current update installed. Almas Suljevic, from Autodesk, has taken this a bit further. Almas explains in his blog where to view the Service Packs installed. Take a look at his blog, click the link below. As promised, I created a blog with regards to our recent webcast. The purpose of the webcast is to understand the sequence of operations to complete the following task of generating Sample Lines, Computing Materials, insert Multiple Section Views, editing Section Views and Sections, and finally creating Section Sheet layouts. Please click the image below to watch this in action! For those who participated in the webcast, thanks again!